This unit is supplied with Canon 5D digital camera, motorised table, laptop, and Navis software. 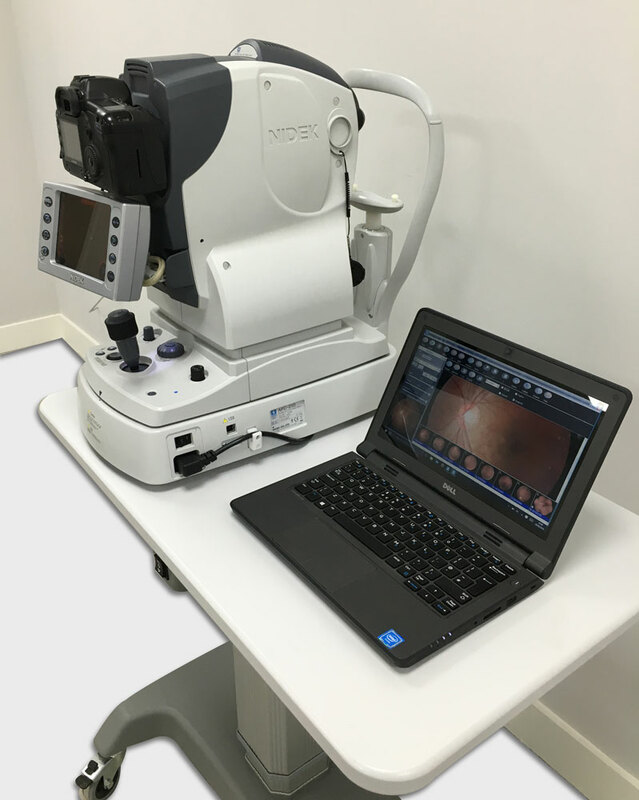 The NIDEK AFC-210 Fundus Camera may be one of the easiest digital retinal cameras in the world to use. This retinal fundus camera has auto focus and auto tracking, making picture taking easier and more precise than ever before. The 12.8MP resolution provides stunning images and true 45 degree horizontal and vertical fields of view provide the important information you need. The AFC-210 is networkable and compatible with most software. This item is reconditioned and comes with a 12 months warranty.